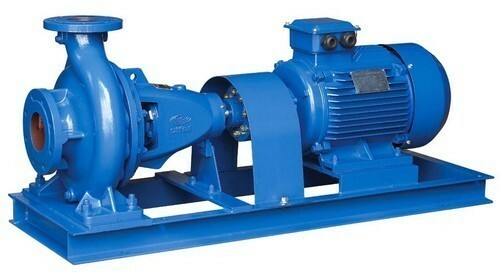 "SMS Pumps & Engineers" is a leading company in the field of manufacturing, supplying and trading of Centrifugal Pumps. These find use as process pumps, multi stage pumps, water pumps, diesel pumps, fountain pumps as well as for meeting the pumping demands in the agriculture industry sector. The company's rich industry experience has helped it to establish its name as a leading company in its area of operations. The latest technology support available at company's end as well as experienced team support also allows it to successfully meet the emerging demands of different industry sectors. Some of the industry sectors served by the company presently include Pulp & Paper Industries, Starch Industries, Pharmaceuticals & Chemical sector, Effluent Treatment Plants, RO & DM Water Plants, Air-Conditioning / Heating Plants, Solvent Transfer and Thermic Fluid Circulation applications among others. Today, the consistent business approach approach employed by "SMS Pumps & Engineers" has helped it to successfully establish its name among many quality conscious customers from different industry sectors. Further, the expertise of the company to make the centrifugal pumps available in different functional capacities and other technical specifications has also helped it to gain a strong client-base across the nation. Some of the key customers it is presently serving include Rainbow Paper Limited, Gujarat; Dishman Pharmaceuticals Limited, Gujarat and others.